Douglas Engelbart, the scientist who created the computer mouse, died Tuesday at the age of 88. Engelbart set the computing world ablaze after conducting the "mother of all demos" in 1968, showing off in just over an hour interactive computing, video conferencing, text editing, hypertext and window displays. 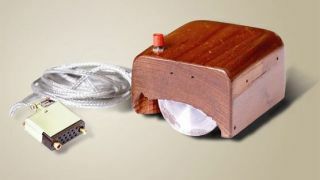 A three-buttoned mouse, cooked up four years before, was used to control the computer's cursor, bringing to public light a device that would eventually squeak next to every PC. Engelbart also had an influence on ARPAnet, the forbearer to the internet as we know it. oNLine System, or NLS, was developed so scientists could seamlessly exchange information and create and access documents stored in an electronic library. It would become the application through which ARPAnet was formed. President Bill Clinton awarded Engelbart the National Medal of Technology and Innovation in 2000. Grab your mouse and give our news nugget blips a click.